The 2017 municipal election campaign has begun in Cote Saint-Luc. District 6 Councillor Glenn J. Nashen has officially launched his re-election bid and has filed his candidacy papers with the vice-president of elections. To support his candidacy, Nashen has amassed over 260 signatures of residents on his nomination papers. Nashen will be seeking re-election in the district in which he grew up and spent half his life in and has represented since 1990. “Glenn is always looking for new ways to make Cote Saint-Luc an even safer place in which to live,” the mayor added. Glenn was a volunteer leader with our Emergency Medical Services organization for many years, responding to hundreds of 911 emergency calls in our community. “Your safety at home and around CSL has been my priority. 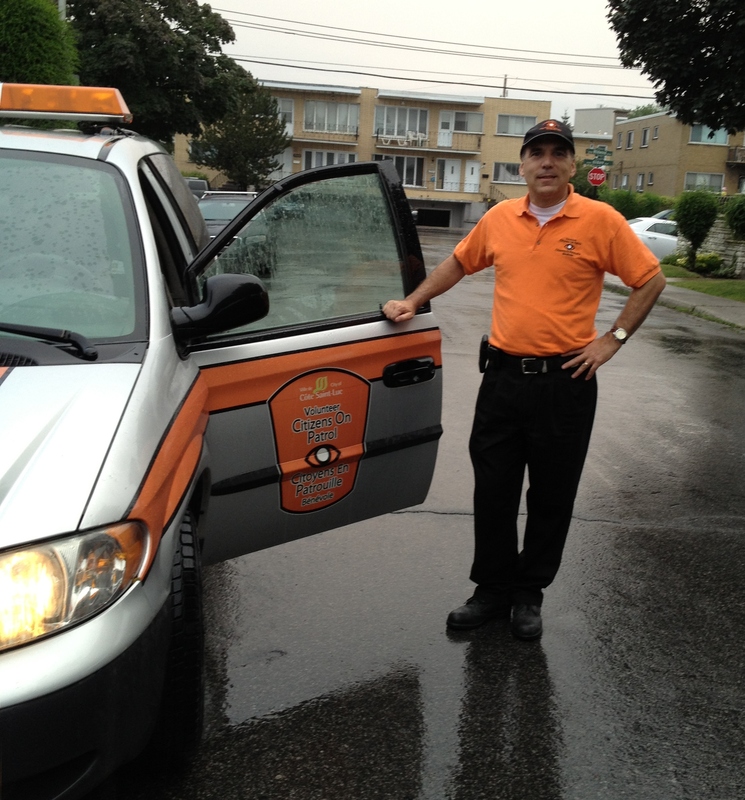 With decades of experience as a leader in Emergency Medical Services and founder of volunteer Citizens On Patrol, championing Public Safety and Disaster Readiness, Police, Fire and Ambulance issues and overseeing emergency measures at the Jewish General Hospital I have ensured that CSL is the safest place on the Island of Montreal. My focus is on your safety,” Nashen said. “I am most qualified to represent you at the most challenging of times,” Nashen said, referring to disaster and major emergency situations. The District 6 councillor was recognized by the Governor General of Canada with the Emergency Medical Services Exemplary Services Award, with over 35 years of involvement in CSL emergency services. Nashen oversees the Public Safety division of vCOP – an extraordinary service which he created – and all aspects of Emergency Preparedness. Nashen led the demerger forces along with current Member of Parliament Anthony Housefather, Councillor Ruth Kovac and Mayor Mitchell Brownstein, returning the community to its historic city status. “We must ensure that we retain our status as a city and not to be re-merged with Montreal, to keep control of our local taxes and services and especially to safeguard our unique volunteer EMS, our local police station and so much more, Nashen said. Nashen began his door to door campaign with a goal of knocking on every single door in District 6. “I may not find everyone at home when I come knocking, but anyone can reach me at anytime,” Nashen said. Nashen is one of the most accessible councillors with a substantial presence on social media. His blog, Nashen Notes (www.GlennJ.Nashen.com), has thousands of posts about the city with archival news clips and photos dating back several decades. He is also active on Twitter and Facebook, posting breaking news items and local news not found in any newspaper. In 2015 he served as mayor of Cote Saint-Luc for two months following the resignation of mayor Anthony Housefather who became Member of Parliament for Mount Royal. Councillor Glenn J. Nashen initiated new high visibility crosswalk signage in Cote Saint-Luc such as the one pictured above as well as the middle-of-the-road flexi signs, among the first in Quebec. Élections municipales du 5 novembre 2017– C’est aujourd’hui le début de la période électorale municipale au Québec. C’est aujourd’hui que débute la période électorale précédant les élections générales municipales du 5 novembre prochain. Il s’agit d’une étape particulièrement importante dans les 1000 municipalités du Québec. être le propriétaire d’un immeuble ou l’occupant d’un établissement d’entreprise situé sur le territoire de la municipalité, depuis au moins 12 mois. L’électeur non domicilié dans la municipalité mais propriétaire d’un immeuble ou occupant d’un établissement d’entreprise situé sur le territoire de la municipalité doit transmettre un écrit signé à la municipalité demandant d’ajouter son nom sur la liste électorale. To ensure you are on the electoral list you may call Elections Quebec at 1-888-ELECTION. Check your Preparedness with thequiz 72 Hours : Check your Preparedness in a Case of an Emergency. ​Le citoyen est le premier responsable de sa sécurité. En situation d’urgence ou de sinistre, il revient au citoyen d’assurer sa propre sécurité, celle de sa famille et la sauvegarde de ses biens. La Semaine est l’occasion pour le ministère de la Sécurité publique et ses partenaires de sensibiliser les citoyens aux conséquences d’un sinistre, par exemple une panne de courant prolongée, de leur rappeler de faire des réserves d’eau et de nourriture non périssable et d’avoir sous la main les articles essentiels qui composent une trousse d’urgence. Les provisions d’eau et de nourriture devraient être suffisantes pour permettre d’être autonome pendant les 3 premiers jours d’un sinistre. We scoot on guard for thee! Cote Saint-Luc’s newest “vehicles” rolled out today as part of the volunteer Citizens on Patrol growing fleet of environmentally-friendly electric scooters. Two new Motorino XPn all electric scooters were unveiled today by vCOP founder Cllr. Glenn J. Nashen and Supervisor Mitchell Herf. The scooters will replace the oldest two scooters in the fleet that will be retired after five years of service. The new ones will be striped with the distinctive vCOP emblem and orange colours in the coming days. The Motorino XPn electric scooters have a top speed of 32 Km/h with a range up to 55 Km. They can easily climb a 24% slope and only cost 14 cents to fully charge the lead acid batteries. The low speed scooters are classified as bicycles according to the Quebec Highway Code and therefore do not require a license plate and the driver needs no special permit. vCOP trains its own members in its safe use. The scooter also features regenerative braking; this takes energy normally wasted during braking and turns it into usable energy which is returned to the battery pack, extending driving rang and increasing efficiency. Regenerative braking not only provides energy to the battery, it also extends the life of brake pads to almost double that seen on typical gas scooters. vCOP members travel in pairs and carry a first aid kit and are radio equipped to reach the CSL emergency dispatcher to report any findings, summon additional assistance for any urgent situation.